In 2014, 417 Panama City Beach gulf front condos sales were sold. 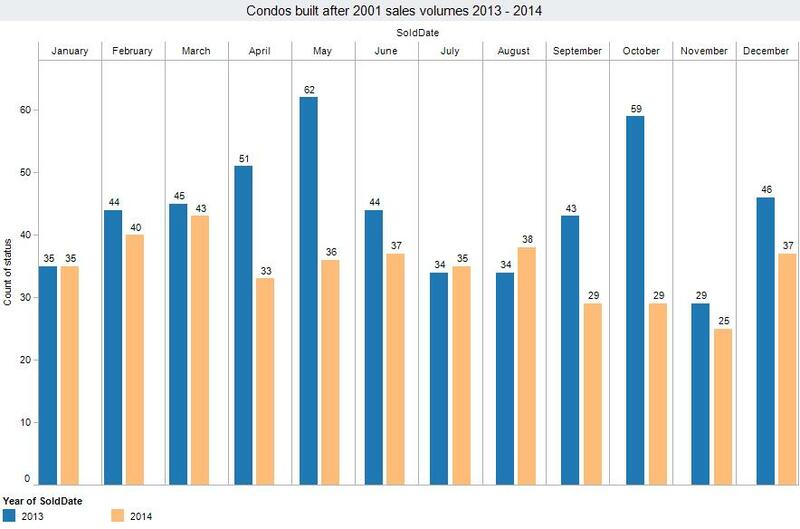 2013 had a sales volume of 526 and 2012 had a sales volume of 537 gulf front condominiums. Clearly, prices of condos in Panama City Beach have come back. They continue to progress at a healthy pace. This progress comes while lending standards for condominiums has been measured and responsible. 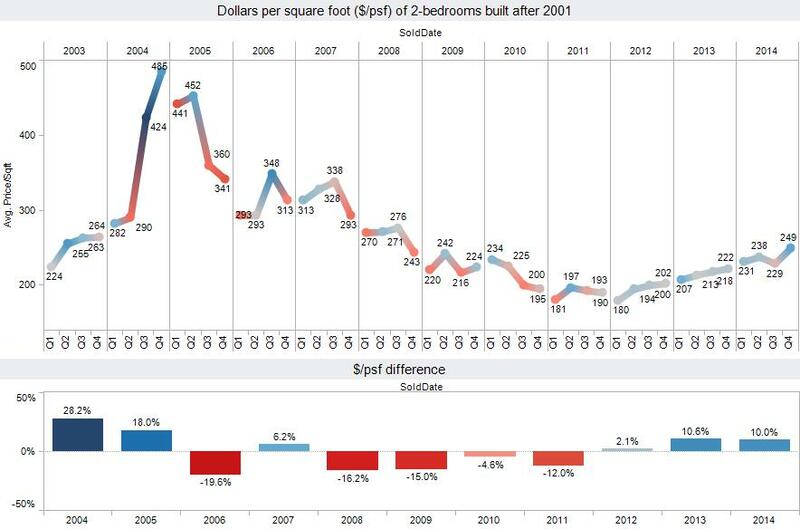 Keep in mind, though, that despite the prices of condos recovering from the rock-bottom levels they hit, we still have not recovered to 2008's prices. This just means that there have been 6 years where buyers have been paying more for these condos than their current selling prices. 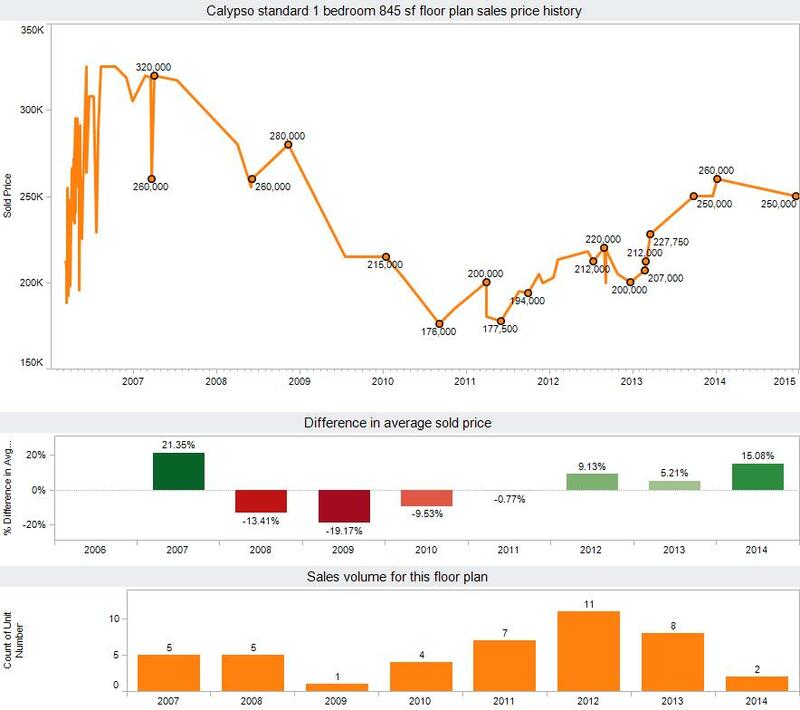 Currently, inventory is being absorbed, and prices are increasing for most floor plans. Although we are in the second consecutive year of 10% average price increases, remember that these things don't happen overnight. Price increases and lack of inventory have caused a measurable drop in absorption. Buyers who wait three to twelve months could easily pay 10% more than if they purchase now. We're seeing absorption fall off as sellers are selling at higher prices. This sometimes results in months going by without a particular floor plan selling. The pricing trend continues, however, when the next buyer shows up and pays asking price. For example, the one-bedroom plan with the master bedroom off the water at Calypso had not seen a sale since one sold in January for $260,000. After that sale, every seller was looking for prices to continue to rise. Buyers weren't interested in paying higher prices, so nothing sold all year. We didn't see any sales with this plan all year until December, when one sold at $250,000. This didn't set pricing back considerably. It just didn't continue to sell at the higher rate. This has become a common theme for individual floor plans in Panama City Beach. How long it will take for buyers to pay these higher asking prices? Are sellers willing to wait that long with the lower absorption rate? Many properties will have asking prices that are $10,000 to $30,000 higher than several other individual floor plans that are also being listed. These higher listing prices often occur because of upgrades that have been done, such as adding new tile to the kitchens and bathrooms. When buyers compare these units to units that have something like poor furniture, they see the value the upgrades give these properties. You may also want to check out our 2014 year in review of the real estate market in Panama City Beach. Created on 13 January 2015 . Last updated on 27 February 2015 .